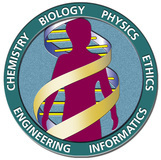 Peconic Genomics provides high-quality and cost-effective ChIP-exo laboratory and data analysis methods to the epigenomic research community. The Human Genome Project, a quest to sequence all three billion base pairs in the human genome, was completed in 2003. This great feat of human innovation and collaboration has led to the discovery of of thousands of disease genes and genetic tests and has sped up the rate of disease research. The completion of the Human Genome Project has also paved the way for precision medicine initiatives around the world. While scientists have gained a greater understanding of our genomic hardware, researchers still have a limited understanding of our epigenomic software, knowledge that will be critical to achieving success in precision medicine. Epigenetics, the science of gene regulation, is rapidly growing and has been called the new frontier of biotech research and commercialization. While one's genome does not change much over time, one's epigenome changes often as a result of environmental factors and age. Understanding why and how genes are regulated has significant value in medical research, drug development, bioproduct development, and many other fields. By offering ChIP-exo as a service, Peconic Genomics helps researchers understand the fundamental issues of gene regulation. ChIP-exo is a lab technique that uses next-generation sequencing to precisely identify protein-binding sites across a genome. Specifically, it uses exonuclease to trim ChIP (chromatin immunoprecipitation) DNA. 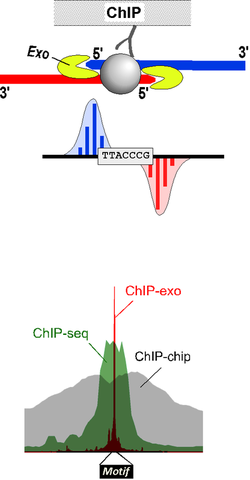 An improvement upon ChIP-seq and ChIP-chip, ChIP-exo can provide near base pair resolution of binding sites. While ChIP-chip resolution ranges from 500 to 1000 base pairs and ChIP-seq resolution ranges from 100 to 400 base pairs, ChIP-exo resolution ranges from 1 to 100 base pairs. The use of the enzyme exonuclease significantly reduces contaminating DNA that results in background noise in ChIP-seq, diminishing erroneous and missed calls associated with mapping. The technique was invented by Peconic-founder and Penn State professor Dr. Frank Pugh in 2010. Since its discovery, Dr. Pugh and his team have sequenced thousands of epigenomes. The complexity of the procedure can be limiting, so Peconic Genomics seeks to remove these barriers by providing ChIP-exo as a service. With years of experience and constant improvement, we have developed an effective and efficient ChIP-exo procedure. Assays we conduct provide data with significantly higher resolution than previously available, helping our customers drive towards new knowledge and solutions. Our results are presented in an easy-to-use format, helping our customers quickly interpret results and disseminate new knowledge. "Our goal is to help researchers solve some of the most complex biological problems that currently exist." From sample preparation to data construction, our many quality controls help us provide our customers with high quality usable data. However, as with any sequencing technique, the data can only be as good as the quality of the DNA samples we receive. We sonicate each sample we receive to check DNA quality. Our goal is to help researchers solve some of the most complex biological problems that currently exist. Assays we conduct provide data with significantly higher resolution than previously available. We follow carefully designed lab protocols to ensure quality results and customer confidentiality. Results are provided in an easy-to-use format to aid in interpretation and publication. We provide standard bioinformatics to help our customers quickly interpret results.